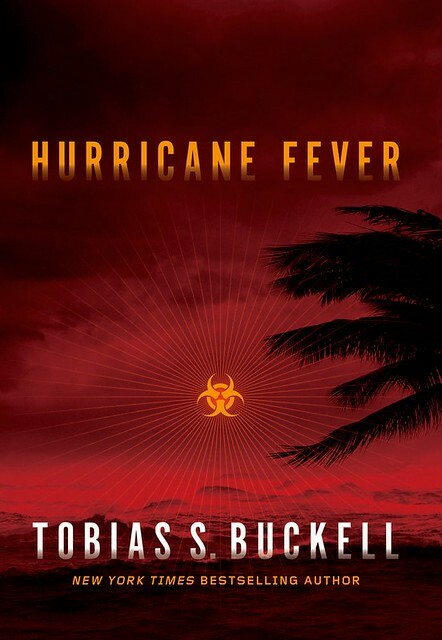 As the first named hurricane of the season wanders along off the east coast of the US, it’s perhaps fitting that today’s Big Idea book is Hurricane Fever, by Tobias Buckell. But the hurricanes of this novel take place further south, in the Caribbean — and that’s where its hero comes from, too. Buckell explains why the latter point is especially important. When I was teenager my grandfather and I spent a couple months slowly going through and watching the entire James Bond series on VHS tape. At the time I lived on a boat at anchor off St. Thomas, in the US Virgin Islands. My grandfather’s boat, Seven Seas, lay not too far away from us. Every night I’d hop in a dinghy and motor over to my grandfather’s and watch a movie after dinner. We watched one movie exactly because the 12-volt car batteries linked up in series to make a bank would have been charging all day via a wind generator mounted on the main mast. Any more than one movie, and that bank of batteries would run out of charge for the day. There was another bank that we could switch over to, but that was held in reserve to start the motor only. If it had been a low-wind day, we’d often have to fire up the boat’s engine near the end of the film (which used up costly diesel fuel). My grandfather always kept an eye on the voltmeter during the final third of a movie. It was a strange thing to watch Bond in action sometimes. Because Bond often came to the sorts of places we were in at that moment, watching the movie. When Bond came to any islands, or any places in the developing world, he was a force of nature. He blew things up, slept with ALL the women, and raced around in boats (that exploded even more). I began to realize that, for the people making, filming, and in some ways writing about areas like my homeland, it was an exotic destination and no more. I realized that people there didn’t get to have the same adventures. They never got to stand up to the enemies who had penetrated their settings. 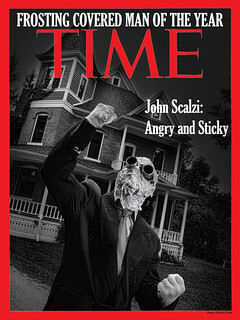 In many cases, the villain was often of the developing world. So we were a place to visit, a playground, the thing to sleep with (or exploit) and the enemy. …There were heroes as well. And there should be fictional heroes as well. Because we should all get to see ourselves out there as heroes. When the the black-hats get on a megayacht and sail off to aquamarine waters to cause trouble, why shouldn’t a local agent get curious about the mayhem and start digging around? That is how Prudence James came to be born: my asking that question. Roo, as he prefers, appeared in Arctic Rising, lending a hand to the main character of that novel as she navigated an increasingly hostile ice-free Arctic. Roo is my answer to the question: where are the Caribbean agents? What about the people who live there? What do they think about all this? Because, at anchor, enjoying the explosions on a tiny screen all those years ago, I felt an emptiness that I couldn’t put a finger on. I wanted to see stories that included and featured people like my friends and me. Bi-racial people. Caribbean people. Caribbean people at large in the future. I wanted to add to the experience, I wanted to deepen the pool that was the mythology of the secret agent. Getting to do so in Hurricane Fever was finishing a promise I made a very long time ago. Thank you very much for taking us beyond the tourists’ veil. It is a very, very cool big idea. Since I enjoyed Arctic Rising very much, I will surely try out Hurricane Fever. Thank you for the chance to accompany Roo again! Can’t wait to read, sounds fascinating. Love anything about the tropics being a native Floridian myself. Will pick it up this weekend. SO excited to read this! Arctic Rising was terrific – I’ll have to re-read that before plunging into the sequel. Also, huge *Congrats* Toby on all your recent successes – very well-deserved! Hopefully the new covers for the Xenowealth series will draw in a bunch of new fans, and even more with your future YA title(s … hoping there’ll be an “s” here!). 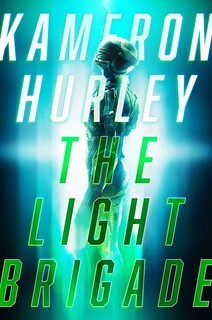 I’ve read the excerpt, and……a copy is now on its way to me. Awesomeness! @old aggie: Thanks for mentioning that it’s a sequel to ARCTIC RISING — now that one’s on its way to me, too. Anything about the funky symbol in the middle? Makes me think hazardous waste. Ha. Went and bought Arctic Rising and it’s great; looking forward to Hurricane! Troy: it’s a biohazard symbol. @Cally: wondering how it plays into the story.